You don’t HAVE to be so anxious! What if there were easier ways to cope with stress and anxiety than the burden (and expense) of over-the-counter drugs? So many people who experience anxiety simply aren’t aware that there IS an alternative state of mind to feeling stressed all the time, WITHOUT depending on costly pharmaceuticals to do so. 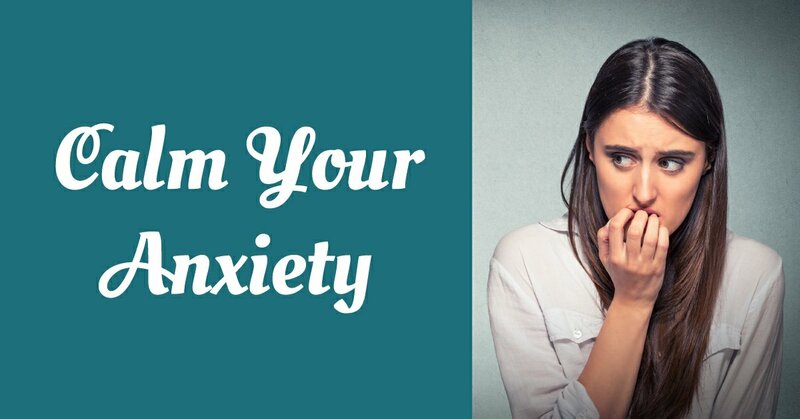 For centuries, holistic medicine has treated those experiencing symptoms of anxiety, stress, and depression with all-natural methods of alleviating stress, and this webinar, Calm Your Anxiety, on Thursday, April 11th at 8:00 pm CDT will help you to understand exactly how! If you can't make the date go ahead and register so we can send you the replay link for the webinar. Experiencing the Healing Nature of… Nature! Human beings have been treating one another with herbal and natural medicines all over the world since time began, with the goal of using all available resources to target specific physical, mental, and emotional imbalances which give rise to what we know today as ‘illness’. The concept of natural medicine isn’t complicated - in fact, it’s the opposite. There are many simple and natural lifestyle changes you can make to help alleviate the symptoms of stress and anxiety such as learning how to recognize your triggers as well as to maintain your grasp on them when they arise. Getting to know your individual needs and treating them accordingly is what holistic experts (like our team) will assess and recommend. This is all possible without the use of manufactured or generic pharmaceuticals (an industry in itself which gives rise to anxiety at just the mere thought of), and on Thursday, April 11th at 8:00 pm CDT we’ll be going through some of the most impactful adjustments and treatments you can make to find what works for YOU. We are motivated to help spread awareness of holistic remedies and treatments simply because we believe it to be THE most natural and beneficial way to care for ourselves and our families. There are less expensive, more effective, and healthier ways to treat stress and anxiety than by depending on pills, and we believe that everybody deserves the chance to get to know themselves and their own requirements. 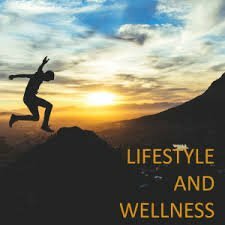 What works for one person might not work for another, so cultivating AWARENESS of the vast expanse of holistic medicine we feel is vital to achieving optimum individual health. By achieving optimum individual health, we contribute to the optimized health and wellbeing of our entire communities as a whole and elevate the potential and impact we have in the world. It’s about empowering ourselves and our families to function to our highest energetic and creative capacity, using what we were given to naturally exist and give back to the world. Can’t Wait To Share With You On Thursday, April 11th At 8:00 pm CDT! Did you know 43 million people will have dementia by 2030 and that number is expected to grow to 73 million people? Did you also know that Alzheimer’s is not hereditary and it is the disease people are most concerned about after cancer? When most people think about aging, dementia often comes to mind. What if you could pick up everyday items at the grocery store that would help keep your brain healthy? 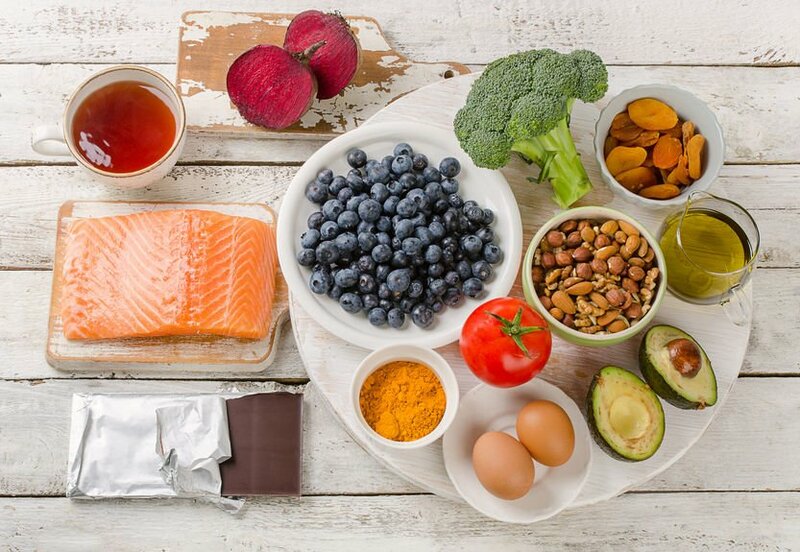 Did you know there are eight superfoods specifically for your brain health? In this article, we will explore two of them with more to come in future blogs. What are they? What are the benefits of each superfood and why do you need them? Let’s explore the superfoods that help combat Alzheimer’s and Dementia. The people of India have one of the lowest cases of Alzheimer’s and Dementia in the world and they use a lot of our first superfood, Turmeric. 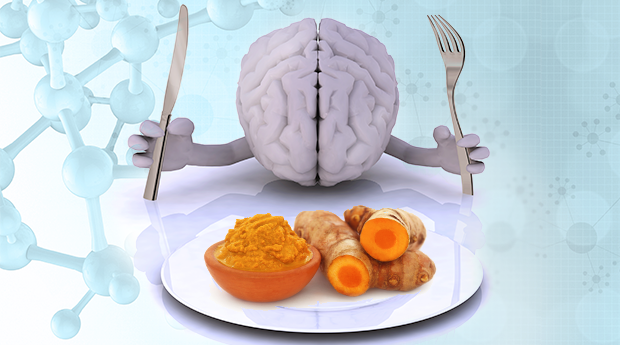 Turmeric is not only a superfood, but it may prevent or help reverse the signs of Alzheimer’s. The easiest way to use and absorb Turmeric is mixing it with black pepper when cooking or seasoning your meals. Turmeric’s orange color comes from curcumin which helps aging blood vessels increase blood flow to the brain. Turmeric is also believed to be a potent anti-inflammatory. It is important to get a very good source of turmeric and in the correct amounts. I can tell you that the processing of turmeric is becoming tainted as with all manufacturing processes that look for a “score” for sales in the open market. The blend of the entire turmeric root must be sourced properly to maintain its life force. You can’t isolate the curcumin. And that is what is happening now in the industry. Nutraceutical manufacturers are isolating the curcumin to develop a marketing scheme to say it is more “potent”. Really? More potent than in its natural form working in conjunction with the rest of the parts of the root that actually causes the plant to grow and repopulate itself year after year? Now, how much sense does that make? This is why you have to know that all the parts of the root that make it so powerful are still intact by the time you get them in your supplement or spice. So the bottom line, in order to get the full benefit of healing plant chemicals, your supplement must contain the whole plant material, grown organically, harvested at peak nutritional richness, and processed without heat or chemicals to maintain the life force of the plants as only nature can provide. When done this way, all nutrients are 100% naturally synergistic-they naturally support or enhance each other for maximum healing. And this is super critical for turmeric/curcumin. My source for Turmeric is from MediHerb (Standard Process) because I know it has curcumin your body can actually use and process. They process the root correctly, but, it is only available to healthcare professionals. However, if you want to know if this suggestion is right for you, please ask our office for access to our online health assessment where you will receive a free report identifying the best supplement recommendation for you. We will then work with you through our Patient Direct Program to allow you the convenience to order this high-quality product and others as needed to complete a well-rounded nutritional protocol unique to you. Can you get all this from the spices in the store and use them while cooking? Only if you know that the same keys above were used to harvest what you are buying for your spice rack. And then, of course, you have to make sure the amount you are getting is the recommended dosage which may be difficult to put all in your favorite dish and still get the flavor you are desiring. And how do you know if what you are taking is enough or is working for you? 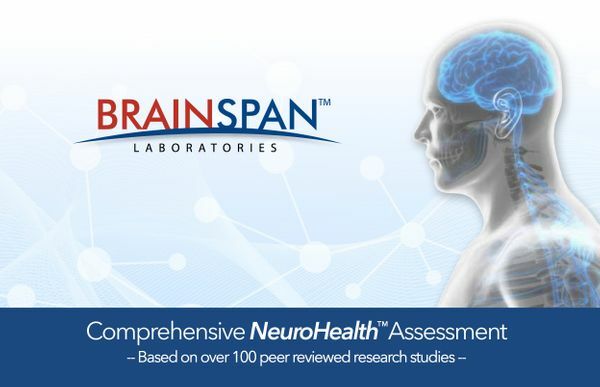 We have a great brain cell assessment tool that actually will measure aspects of cell health that will be a good indicator if what you are doing is actually working to address your health. These tests can be performed in our office or long distance so please check out more details to determine if your steps toward health are actually working. Another warrior in the fight against Alzheimer’s and Dementia is Tea. There are four types of tea: black, oolong, white and green. If you are looking for the highest level of antioxidants, lowest levels of caffeine and least processed, try the white and green teas. Tea drinkers tend to have a lower rate of Alzheimer’s Disease. Try to keep your tea as pure as possible and go easy on the honey and lemon so you can enjoy all the health benefits of the tea. Drink hot tea over cold tea because you reap what you steep. Warmer drinks are also really good for digestion and absorption. You may not know this, but it is also important to steep at the proper temperature to get the best benefit. It really does taste better too! As with Turmeric, sourcing and proper harvesting of the tea leaves is very important to get the proper nutrients to uptake into the body. 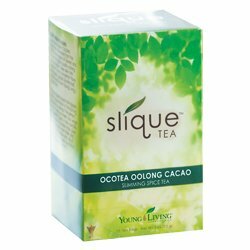 I recommend the following tea called Slique that not only has oolong tea, but also frankincense in it which is also a very good anti-inflammatory. It also tastes really good with properties to address satisfying your hunger as well. So this is two powerful healing traits in one. So there you have the first two brain boosting superfoods that will help fight off Alzheimer’s and Dementia: Tea and Turmeric. No prescriptions and no need for specialty stores. Two items you can incorporate immediately that will give you a lifetime of benefits provided they are sourced properly. I strongly encourage you to contact our office to get your baseline brain cell assessment to identify your age-related cell degeneration and cognitive decline. This assessment will help you determine if what you are currently doing is moving you in a positive direction. By the way, this is not just about getting Dementia or Alzheimer’s. This is measuring your cell health as it may also relate to: Attention and Behavior, Memory, Weight-Loss, Chronic Pain, Performance, Concussion resiliency (Stroke too) and Pregnancy. Learn more by watching this video. Here is a link to a PDF Flyer for the Workshop to share with family, friends, and coworkers: BodyTalk Access Workshop February 16, 2019 flyer. Once you register for the class you will be invoiced via the email address you provide. The invoice will come from Square. If you don’t live near Plano Texas, contact us to find out how to sponsor a BodyTalk Access class in your area. Click here to contact us. A ketogenic diet is a low-carb, high-fat diet. Ketones are small molecules produced in the liver and used as fuel throughout the body. If you'd like to learn more about the Ketogenic Diet join us on Thursday, January 3rd at 8:00 pm CST, for a free webinar. 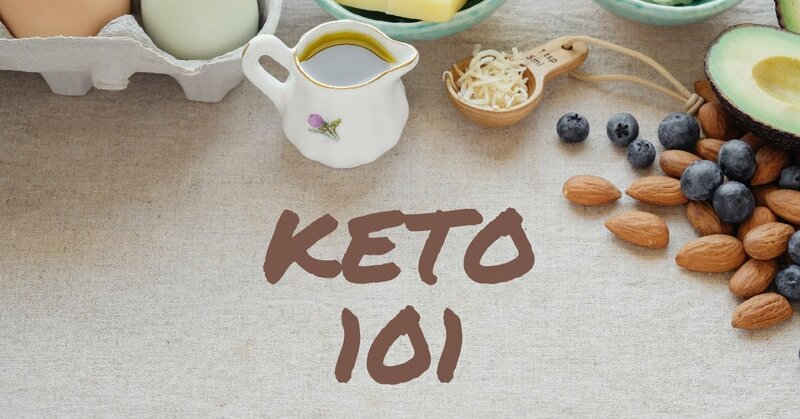 We will explore some of the benefits of a ketogenic diet in detail. We will also provide the tools to help get you started on your way to healthy living. Please join us and consider inviting others who you think could benefit from our webinar, Keto 101. We Can’t Wait to Share With You on Thursday, January 3rd at 8:00 pm CST! Get 10% off all purchases of Harmony™ Essential Oil blend from August 1-31, 2010. Harmony™ Essential Oil promotes physical and emotional well-being by bringing harmonic balance to the energy centers of the body. The liberating, balancing, and calming essential oils in this blend open us to new possibilities while contributing to an overall feeling of well-being. Offer valid 12:00 a.m. MT August 1, 2010, to August 31, 2010, 11:59 p.m. MT. No limit per customer per order. Offer available to Young Living Independent Distributors, preferred customers, and retail customers. Offer valid in the US and all NFR markets, except where restrictions prevent promotional product(s) from entering a country. Offer available on web, phone and Essential Rewards orders processed on or before 11:59 p.m. MT on August 31, 2010. At Access Complete Wellness, we are always striving to improve our service and your health. Toward that goal, we have an exciting new service to offer you - Patient Direct by Standard Process! Our Patient Direct™ by Standard Process® ordering program allows you to order your supplements directly from us online from the comfort of your own home. Your supplements will then be delivered to your address. You’ll save time by ordering and reordering supplements online, at your own convenience. You’ll be able to maintain your supplement health regimen even if you’re traveling. You’ll save time and money by not having to drive to pick up your supplements. Your supplements will be delivered directly to you. If you are a current client* and interested in using this new convenience, please contact our office for our Patient Direct code. This code is required to begin the application process for your online ordering account through Patient Direct by Standard Process. Sign up for an account at Standard Process today! If you are not a current client, to gain access to Patient Direct by Standard Process, take this Body System Survey and schedule your complimentary consultation by calling us at 972-712-0892 or filling out this form. This appointment can be done in person or virtually. Based on the results of your survey, a supplementation plan will be recommended for you and our Patient Direct code will be given to you. If you have any questions, please feel free to call Keith in our office at 972-712-0892. Anyone who is a current client of a health care professional that offers Standard Process products may apply. Just ask your health care professional for the office's unique Patient Direct code. You will need it for your application. Why do I have to be approved as a current client by my health care professional? This program was designed to offer clients the convenience of 24/7 ordering while still maintaining the health care professional-client relationship. Only your health care professional knows your personal nutritional needs. As a current client, you get recommendations from an expert who will make sure you are getting the right supplements. Your health care professional will explain situations in which a supplement should not be used and help you avoid the dangers of guessing or self-diagnosis. 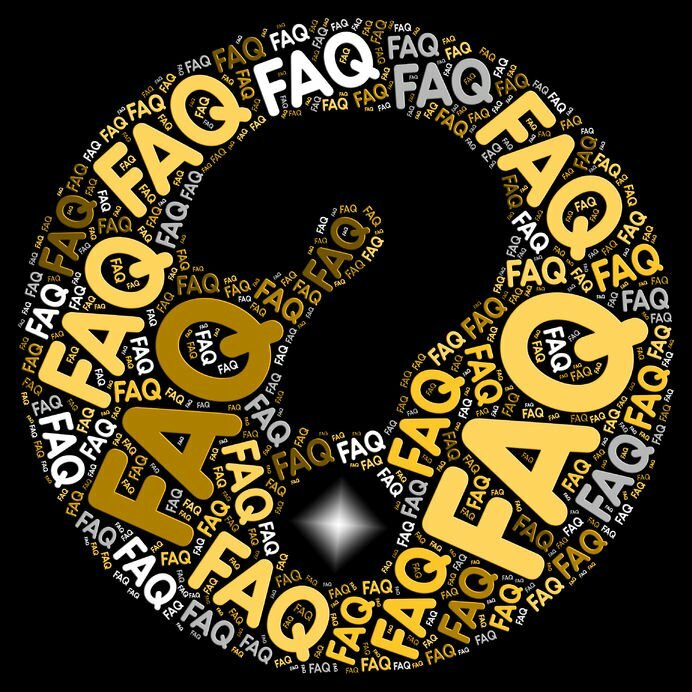 How do I apply for a Patient Direct by Standard Process account? Scroll down and click the "Register" button in the patient area. Log in to your Patient Direct account at standardprocess.com and begin ordering! What if I am not a current patient? The founder of Standard Process, Dr. Royal Lee, believed that each individual's unique nutritional requirements are best evaluated through a consultation with a health care professional. Therefore, Standard Process products are available only through a consultation with a qualified practitioner such a Lynn Morales. To gain access to Patient Direct by Standard Process, take this Body System Survey and schedule your complimentary consultation by calling us at 972-712-0892 or filling out this form. This appointment can be done in person or virtually. Based on the results of your survey, a supplementation plan will be recommended for you and our Patient Direct code will be given to you. Does Patient Direct collect sales tax? We are required to follow the laws in each state and collect sales tax from you, the client, if applicable. Sales tax is based on your health care professional's address. Orders shipped across state lines are subject to the sales-tax percentages based on your practitioner's location. Yes, clients pay for shipping. Standard shipping is United Parcel Service (UPS) Ground and based on distance and weight of the package. Shipping can be expedited and includes overnight, two-day, or three-day shipping, depending on your location. There is no free shipping based on order size. How quickly do client orders ship from a Standard Process facility? Typically a client order will ship within one to three business days. Do you accept returns from clients? Standard Process does not accept returns. Sign up for Patient Direct now! *In our practice we prefer to use the word client rather than "patient". When the word "patient" is used in this article it is in direct relation to the name of the Standard Process program, "Patent Direct". Emotional regulation with TiPi allows you to take control of your emotions. The world is full of ups and downs. Some of these moments leave us breathless with joy, and others leave us emotionally scarred. If you've gone through a bad break up, the death of a loved one, or any number of traumatic incidents, it can take months or years to recover from it. For some people, there is no getting over it, and these incidents can haunt their lives with flashbacks and nightmares on any given day. TiPi is a method of emotional regulation developed in France by Luc Nicon. He discovered that when a certain protocol was followed, previously crippling fears could be dealt with permanently in as little as 30 minutes. This is due to a natural ability the human body possesses to regulate emotions, one that is frequently blocked by environmental pressures. Our body remembers these feelings. When we experience an event that triggers it, these feelings come flooding back unless they have been properly dealt with. If you frequently feel your emotions being triggered by a specific event, this is a sign that the emotions haven't been dealt with. It doesn't have to be something you'd consider traumatic to be this way. It can be something as simple as a car cutting us off in traffic, or knowing a certain relative is going to be at an event you have to go to. With the TiPi method, once you have identified the root cause of what is triggering your negative experiences, the solution is relatively simple. You let the physical reactions come, and you pay attention to them without making any attempt to control them, you let them evolve on their own. This gives your mind and your body a chance to connect the reactions with the event, and to properly identify them in your memory. The next time the trigger appears, you won't feel the same reaction. The results are surprisingly thorough for such a simple process, and a professional TiPi instructor can walk you through the steps to permanent resolution in as little as 30 minutes. This science-backed technique has helped thousands of people and continues to help more every day. If you have emotional difficulties, Emotional Regulation with TiPi may well be the perfect solution for you. Recently, in the North Texas area where I live, a question was raised about the quality of the water from our local municipality. It stemmed from a rash of people complaining of skin dryness, itchiness, rashes, eye irritations, unsafe levels of chlorine, headaches after showering, hair loss and other general health concerns. As it turns out, there are water treatments that may be done at certain times of year to treat the water. And the chemicals used to treat the water from other unsafe organisms may actually bring with it some new health concerns. These chemicals called trihalomethanes are known to lead to a higher risk of cancers and reproductive problems in humans. There are regulations in place that are designed to help you prevent high levels of trihalomethanes to reduce the risk of cancer and reproductive problems. What are trihalomethanes? They are chemical compounds and when exposed via short-term inhalation, humans and animals have shown central nervous system effects, irregular heartbeats, liver and kidney issues, redness or burning of the skin. Long-term exposure to amounts above the federal limits and observed through animal testing led to adverse effects to the central nervous system, liver, kidney, and heart. These have also led to the decreased size of animal reproductive organs and a heightened risk of cancer after years of exposure. So these are the concerns about our drinking and bathing water and it is a good thing that it has been brought to the forefront since long-term exposure is costly to your health. What can you do about it? There are many options that can be considered to address drinking water in particular. As a last resort, is bottled water. You might think that would be a good option, but here is the concern. Bottled water can leach the plastic out of the container that it is placed in which also lead to cancer causing agents. Now, generally, this might happen when the bottle is exposed to heat for great periods of time. So, you might think that since you bought your case of water from the store and kept it in the house since you brought it home you are okay. But what you do not know is what happened to the water in transit? Was it sitting in the hot storage room of a grocery store for extended hours or worse, in the back of an 18 wheeler during transit while it sat in parking lots? Another option is filtered water. There are many options on the market as far as purchasing a filter for your home drinking water and whole house systems. There are reverse osmosis systems, water pitcher filters, filters that offer alkaline water, filters that offer hydrogen water etc. Many people do not understand that water is so vital for life and all life functions. It helps with elimination in the gut. It helps clean toxins out of the cells. It allows the nervous system to properly send signaling to the nerves and allows nerve endings to connect and transmit information throughout the body. It allows the brain to function in a major way. And many don’t realize that just because something they drink is liquid, does not mean it is hydrating to your cells. For instance, iced tea. Yes, of course, it is made with water, but if you spilled grape juice on your carpet, would you clean it with iced tea? Of course not! Your body is around 78% water and your brain is nearly 87% water. Water is vital and the quality of it matters. Water is not just ingested into your cells by drinking it, but it is also absorbed through the skin which is the largest organ in the body. This is why filtering even your bathing water is important. My experience over the years is that water that is “energized”, like the water in the Rocky Mountains running over the rocks, is one of the best analogies I have for good water. When you have the right water in the picture, you will feel how well your body operates, including cognition and digestion. I even find that I crave water that is good such as hydrogen water which is energized water. I like hydrogen water because it assists the body with inflammation, works on cognitive function especially to stimulate ghrelin which is the hormone that tells the brain it is hungry and is also very effective in addressing joint issues. But the most important piece is that there are more than 700 research studies showing therapeutic effects on the body from hydrogen water. There are many that believe alkaline water is best for you. Alkaline water has a pH higher than 7 and acid water is lower than 7. Alkaline water has its place however, your body does an amazing job of managing multiple points in the digestive tract where pH varies based on location and function of that organ. You see, you need more acid in your stomach to help digest food properly, whereas the next stage of the digestive process does not require such an acid level. Alkaline water is very good for a multitude of health benefits such as increased energy, immune system boosting, cognitive function and detoxification. Alkaline water should have a constant flow of dissolved hydrogen in it and that can be hard to find in a good filtration system. What about acid water? Generally, this is best for watering plants washing your face and rinsing your mouth of bacteria such as gargling when you have a sore throat. It is also known for benefits related to cleaning bacteria off of surfaces and kills fungus. This water is generally not beneficial for drinking. There is a company that I refer to that has a system that produces a great value to provide what you need whether alkaline, hydrogen or acid water and including adding positive frequencies to “energize” the water all in one unit! 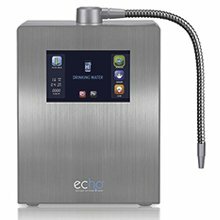 The filer is called Echo® 9 Ultra Hydrogen Water Machine and it removes over 99% of pesticides, fluoride, chlorine, chloramines, bacteria, viruses and algae. It also removes 99% of soluble metals such as mercury, lead, nickel, copper, chromium and arsenic. The Echo® filter also stops scale buildup including lime. This company offers a Forever Warranty and free installation! Oh yes, and the price is far less than a leading competitor. Have you ever heard of such a thing? Learn all you need to by watching these short videos. Be sure to download the free Ebook on the benefits of Echo Hydrogen Enriched water. The toxins that can enter your body through your skin via bathing and showering are just as dangerous to your health. Your skin can easily absorb any chemical on contact so the same is true for your water in your shower or bath. Here is a full home solution to assist in removing those toxins. 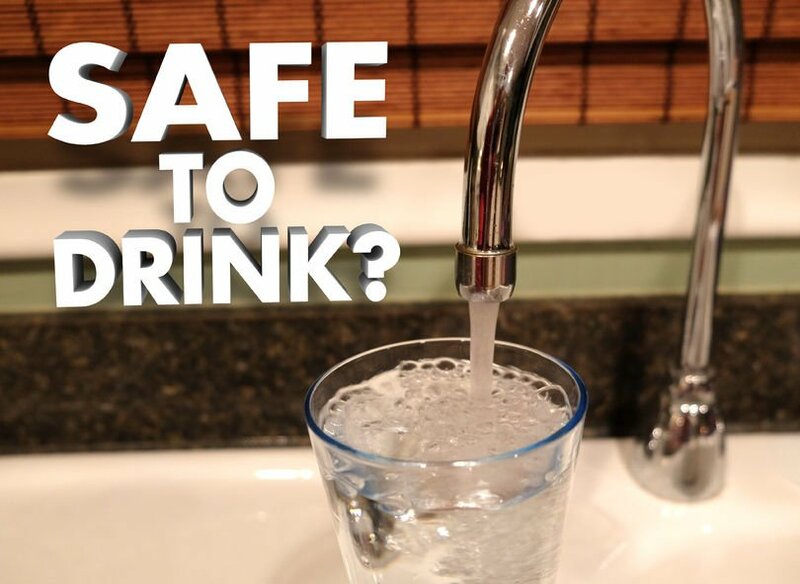 I encourage you to be very aware of your drinking water and the toxins that may be in it. If you are in the Dallas/Ft. Worth area, you are welcome to contact us for a large free bottle of drinking water to sample from the Echo System referenced above. "Thousands of world-class athletes and everyday people, have benefited from groundbreaking hydrogen infusion therapy, and now you have this same opportunity, too!" 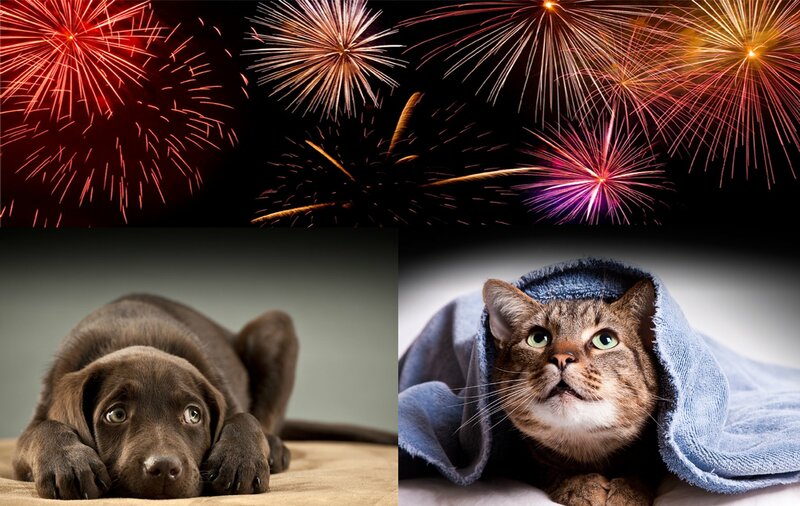 Fireworks can be fun for humans, but cats and dogs don't have the same reaction. I love this time of year and the opportunity to celebrate Independence Day in our great country. There will be amazing days at the beach, parades, picnics and fireworks! It is the latter that can make or break your pet's well-being. Pets are not stable in their environment when they hear unfamiliar sounds, especially the sounds of fireworks, this can send them into a frenzy of fear. There are a few things you can engage to assist your pet. I will share just a few that I use in my home to create a calming and balanced environment. Keep your dog or cat inside during the fireworks in a nice, calm, cool environment, preferably with human companionship. Provide a safe place inside for your dog or cat to retreat. When scared of sounds they can’t orient, they often prefer small enclosed areas... For dogs, covering their crate or lowering the blinds in the area they are crated can also be helpful. For cats, allowing them to retreat to dark places is a good idea such as under a bed or in a closet with the lights off. In your home keep the windows and curtains closed and remove visual stimulation to calm them. Sound Therapy: Before the holiday celebration begins, get this digital download of 22:22 minutes of calming, soothing, healing music for dogs & cats and begin playing it in the afternoon. We have used Wholetones music to create a calming, soothing environment for our cats and it works great. This 22:22 minutes of wonderful music is tuned to a frequency (396Hz) that is scientifically proven to calm your dog or cat. It works for humans, too! Take advantage of this offer and enjoy the celebrations with you and your fur baby. You will have access to a digital download so you can play the music for them now, PLUS you will receive the actual CD in the mail. Click here to go to Wholetones Single 396Hz – Healing Music For Dogs (and Cats too). The CD jacket says it’s for Dogs but that’s because the guy who created the music is a dog person. Believe you me, It works for cats too. One more thing, after the celebrations, check your yard for fireworks debris before allowing pets outside to play or relax. Even if you didn’t set off fireworks yourself, debris can make its way into your yard, where curious animals may pick it up to play with or eat. What Does Lynn Do? BodyTalk and More! Lynn facilitates the interaction between the mind, body, and spirit, specifically the ways in which emotional, mental, social and spiritual factors together can directly affect health. She looks beneath the surface of symptoms to find the more fundamental causes for the conditions. This modality uses the latest in medical research including microbiomes and epigenetics. She offers no diagnosis or prescription, just re-establishing communication between the brain and body so to speak. In a session, she uses neuromuscular biofeedback, which is similar to applied kinesiology. 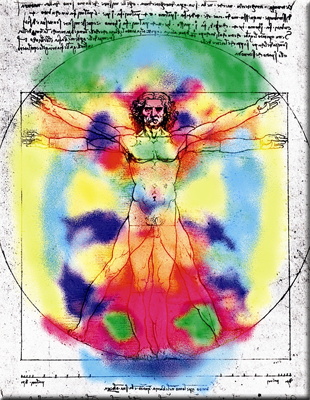 By understanding that your body has an inherent knowledge of itself, Lynn is able to quickly and easily ask your body what communication circuits have become compromised and in which order these lines of communication need to be re-established for the fastest possible healing process to occur (Priority Based Health Care). She then uses light tapping on the head and sternum to reestablish channels of communication within the body. In turn, this activates the brain and helps to facilitate the body's own ability to restore and maintain its optimum health. Lynn emphasizes prevention, treatment, and optimal health through the use of therapeutic methods and substances that encourage individuals’ inherent self-healing process. Naturopathic medicine includes modern and traditional, scientific, and empirical methods. Lynn helps her clients find the motivation and tools to achieve their physical and emotional health goals. She guides them down a path that enables them to make better choices that fit their lifestyle. She empowers her clients by helping them recognize and facilitate their innate potential to create their desired life. Work-life balance is a large part of achieving their desired life.